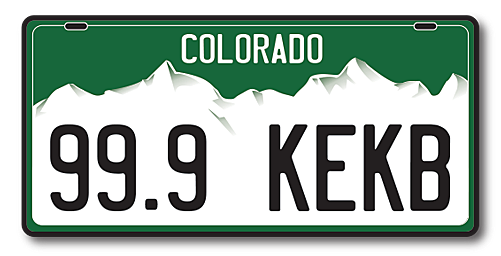 Join Cody Carlson on Grand Junction’s 99.9 KEKB Monday through Friday from 6 a.m. to 10 a.m.
Hi, my name is Cody Carlson, and I love being in radio because of all the wonderful people I get to meet. As far as activities go, snow skiing, thrift stores, and golfing, I am addicted to golf. I love humor, laughing and having fun. I have had the privilege of being on the radio in San Diego, Wichita Kansas, Joplin Mo, and beautiful Colorado. I hope to meet you soon. I hate living in fear but I also want to be smart when it comes to putting a bumper sticker on my car. Some people don't care they will put any political bumper sticker on their car or truck and sometimes it stirs the pot. When it comes to fast food what is your favorite? Do you like Mexican Food, Pizza, Hamburgers or maybe chicken? These are all good choices but when it comes to fast food there has got to be a couple of favorites. So, there are numerous ways to saving money one is budgeting and hiding it. Another is hoarding your money. Still, people bury their money. A few weeks ago I asked what the best perks you get with your credit card and what have you used them on? What Refreshing Summertime Drinks Do You Love? I love refreshing drinks with no alcohol, I recently tried jalapeño and strawberry water it is so good and with natural sweetness from strawberries and it makes a great summer drink. There are people who wait until their baby is born before they even start thinking about what to name him or her. If you or someone you know is depressed and thinking about ending life please reach out for help. Rocky Mountain Crisis Team 844-493-TALK (8255). The state of Colorado ranks among the highest for suicides. I came across this and thought I would share. There are many people who go unnoticed. If you know a city employee who had done a great job at something and has gone out of their way to show you good service why don't you recognize them. It is fun finding Antlers and Horns but make sure it is legal before you do it. According to the Colorado Parks And Wildlife, they changed the dates on when you can go searching for shed Antler and or Horns.